Our head office is located at Suite 507 / 267 Castlereagh Street, Sydney inside Museum Towers, which is across the road from the Downing Centre courthouse and around the corner from Central Local Court. 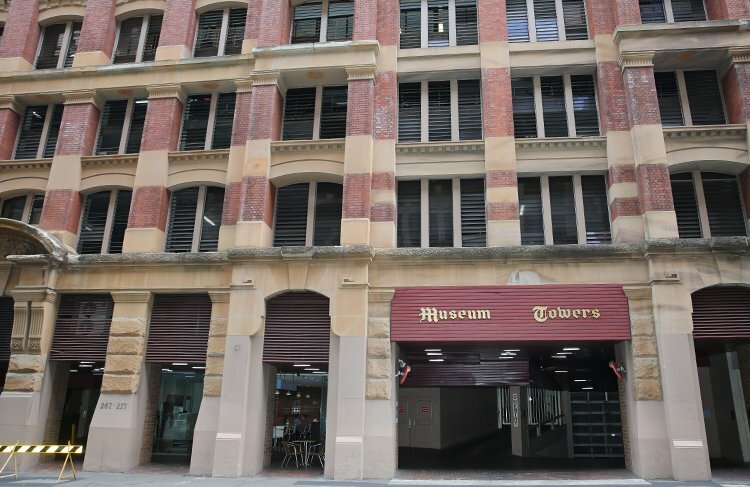 The nearest train station is Museum, which has a Castlereagh Street exit just across the road from our offices. Alternatively, Town Hall station is a five minute walk away. If you are driving in for an appointment, we offer free visitor parking within our building. You can also use visitor parking free of charge on the day of your court case. If you have a court date we offer a free first conference with an experienced criminal or traffic defence lawyer who will explain your options and the best way forward. Downing Centre Local Court is on levels 4 and 5 of the Downing Centre courthouse, which is located at 143-147 Liverpool Street, Sydney. Downing Centre District Court is on the lower ground to 3rd floor of the Downing Centre courthouse. Central Local Court is located at 99 Liverpool Street, Sydney. The court deals with a large number of bail applications, committal hearings, defended hearings, sentencing hearings and a range of other matters. It is the court where many serious offences start, before they progress to the higher courts such as the District or Supreme Court. The Law Courts Building, Queen’s Square, 184 Phillip Street, Sydney. This building houses the NSW Court of Criminal Appeal where appeals against many decisions in the District and Supreme Courts are heard. It is also where the main court registries are located. King Street Courthouse, Crn King and Elizabeth Streets, Sydney. This is where most Supreme Court bail applications are heard. Darlinghurst Courthouse, Taylor Square, Sydney. This is where lengthy criminal trials often take place.